I offer a wide range of high-quality products to suit all tastes, from classic to contemporary, and am continually on the lookout for new and exciting ways of displaying images from your session which you'll rarely find on the high street. Photographs on slate, anyone? FRAMED PRINTS WITH SUPERB QUALITY MOULDINGS AND DOUBLE MOUNT - timeless, classic pieces. 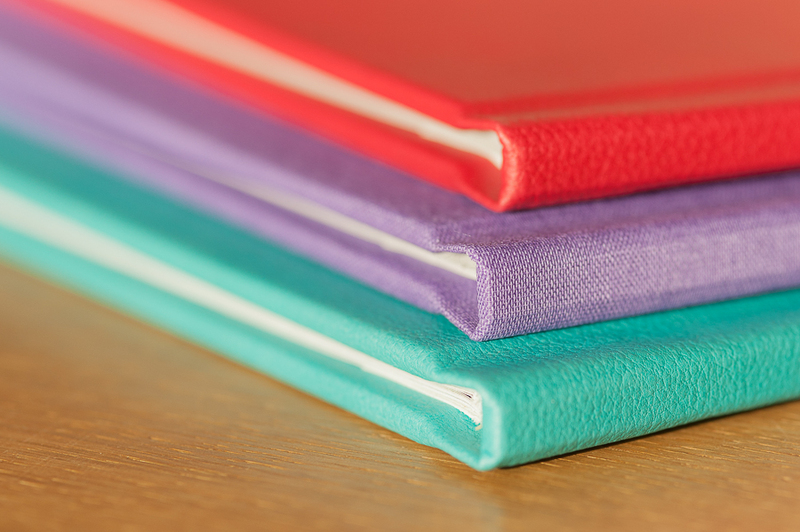 ALBUMS & COFFEE TABLE BOOKS - with products to suit all tastes, and a huge choice of colours and finishes, many of which can be personalised with your name. 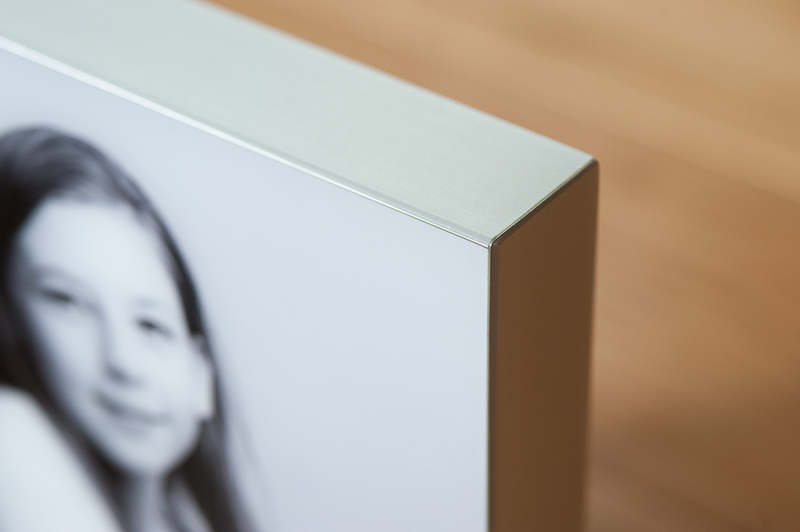 I encourage clients to look to the future and to view portrait products as an investment, something which will be treasured and handed down through the generations. In which case, I want to make sure the products I provide will stand the test of time. And that's the reason I select the companies I use very carefully, to make sure that their products meet my own expectations. 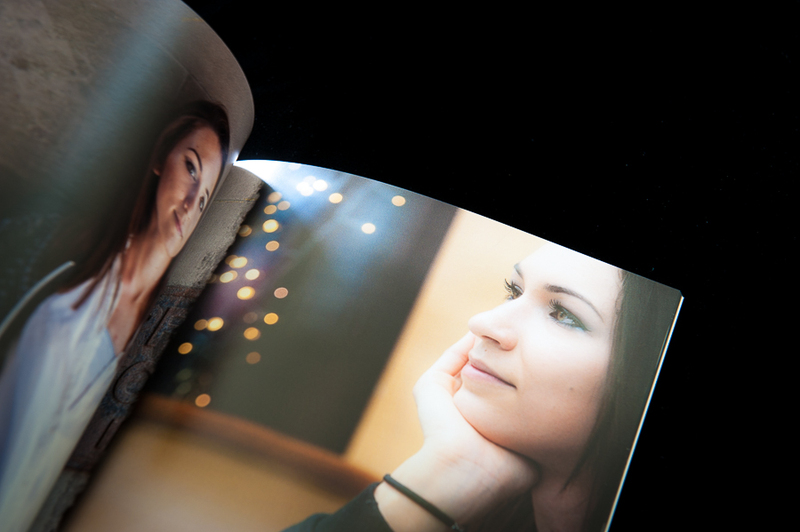 I also want to make sure that your images look their best, and take great care when it comes to having these printed. In fact, I use one of the best printers in the country, one which has won awards for its products. It goes without saying that I will never deliver a product or image to you which I am not happy with myself. All my products are offered with a 100% money-back guarantee, so if for any reason you are not delighted with them, just let me know within 7 days of delivery and I will do everything I can to make sure your problem is resolved. In fact, that goes for the images themselves - I want you to be absolutely delighted with the experience from beginning to end, so if for any reason you're not, please let me know. I'm sometimes asked for "files on a disc", or loose card-mounted prints, however I'm afraid this isn't a service I offer. I sell only high quality finished products and albums; I don't sell loose prints or electronic copies of images, except when I offer this as part of a promotion. There is a very good reason for this: I want to make sure your images are shown off to their fullest potential, rather than languishing on a hard drive (where they can become corrupted), becoming dog-eared in the back of a drawer, or being let down by a poor-quality frame. Your images are something to be proud of; something to be cherished and displayed for years to come in a place where you and others can enjoy looking at them. Nor does it do your images justice if they end up as supermarket prints from digital files I've supplied. There's another good reason for not offering digital files - in the early days of my business, I realised that some customers had used Photoshop to digitally alter image files I'd supplied, which end up bearing no resemblance to the image I created, but still bore my name! That's something I'd rather avoid. The products I offer you are very important. 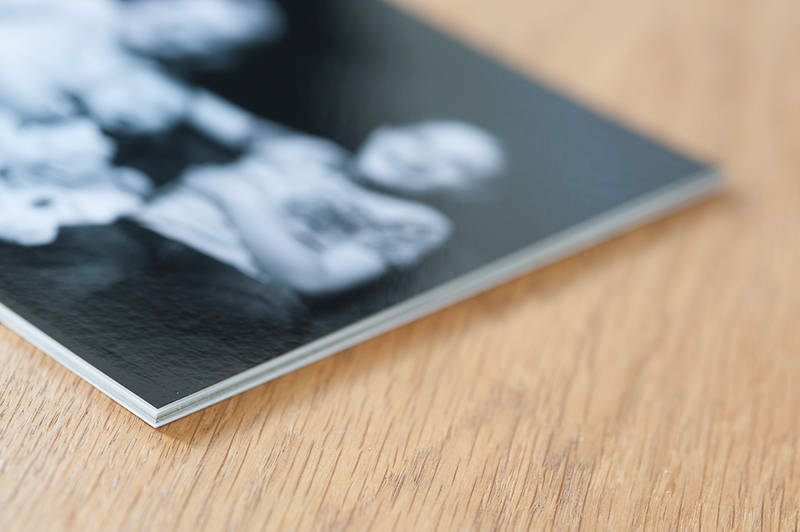 They are just as much a part of the service you receive as the session itself; they are the icing on the cake of your portrait experience - whether it's a stunning piece of wall art or a beautiful album, it is your permanent reminder of those moments which have been captured forever. However, I do offer certain digital-based products, such as your movie presentation, which is supplied in MP4 format on personalised DVDs, as well as mobile digital albums comprising selected images from your session which you can share by social media and email. "Picture This" is a blog for businesses that care how they look. Sign up to have the latest article delivered straight to your inbox every week. Thank you for signing up to receive Picture This every week. Please check your inbox (including your Spam folder) for an email asking for confirmation of your subscription. We hope you enjoy what we have to say, and look forward to your feedback and comments! All images on this website are copyright © Alistair Kerr. Please see full copyright statement here.